It’s here! It’s here! Race week to my first Ironman 70.3 Triathlon is finally here and I can’t even believe it! I signed up last October while on a rainy trip in Denver, Colorado. I signed up with shaking hands and a thought that perhaps August 21, 2016 would never even arrive. I signed up wondering if I had the courage to try and the will power to even get to the starting line. I signed up despite pushing back feelings of fear, self-doubt and “what ifs” from my mind. I dived into my training on March 8. Six months worth of training. Twenty-four weeks worth of early mornings, late evenings and everything in between. Twenty-four weeks worth of bike rides in the rain, swims in cold water and running even when I plain ole’ didn’t feel like it. The sacrifices have been endless and the real pain has not even begun yet, but the reward has been great even so far. I can’t even imagine what it’s going to feel like crossing that finish line. I could sit here and type out how I’m feeling, but if you are reading this and have any inkling to the triathlon world then you probably already know exactly what I’m feeling. I am super nervous. I am insanely excited. I am pushing out the negative and breathing in the positive. And I am ready. A fellow triathlete blogger shared this poem/tribute in a comment last week and I have reread it multiple times already. 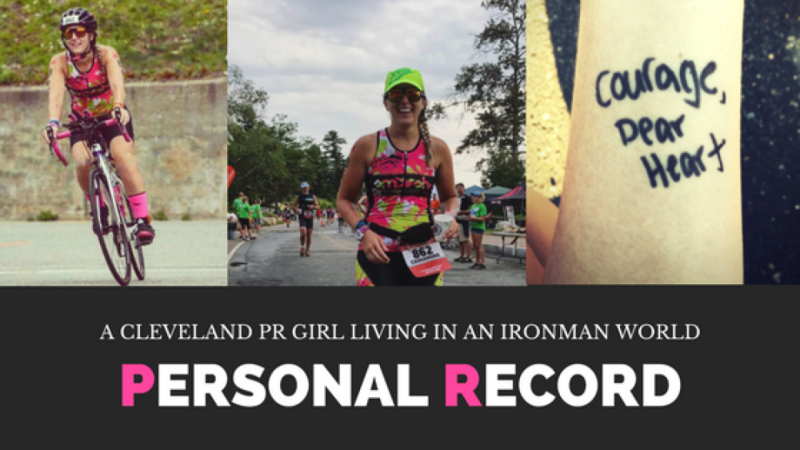 This entry was posted in Uncategorized and tagged i am ready, Ironman 70.3, Ironman 70.3 Ohio, ironman 70.3 ohio race, ironman 70.3 ohio training, Ironman Ohio, ironman taper, ironman training, you are ready, you are ready ironman quote by Cassandra Holloway. Bookmark the permalink. You’ll do great. Just enjoy the day. Ironman puts on a show like nothing you have seen in the world of triathlon and the weekend will fly by. I am thinking of running this race in 2017 (it would be the first triathlon longer then a sprint since 2014). I am looking forward to the race report. Best wishes! Can’t wait to hear all about it! You’ll be awesome! Thank you so much for all your support on this journey! Great advice – I am just going to continue to tell myself (no matter what happens) to have fun. This sport is about challenging yourself, but it’s also meant to be about joy and having fun. I will keep you posted on my race report! I’m laughing out loud at the salt and pepper shakers comment!! My husband would be mad if I came home with items like that LOL!